The campaign for Oregon governor is still a horse race -- some say it's the closest race for governor in the nation. 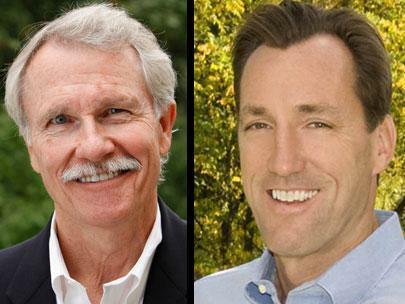 Behind-the-scenes efforts, not polls, will determine whether Dudley or Kitzhaber wins the election. A series of polls conducted through mid-September show the race between Chris Dudley, Republican, and John Kitzhaber, Democrat, is razor close. The most recent public poll shows Dudley leading Kitzhaber 49% to 43%. Others find the race a dead heat. Six points looks large, but Nate Silver in his FiveThirtyEight Forecasts blog says the race is still too close to call. Democrats trying to secure their base. Roughly 20% of Democratic voters favor Dudley. The party and its traditional allies, such as organized labor and pro-abortion groups, will work to cut into that support. Democrats running an aggressive get-out-the-vote campaign. Democrats outnumber Republicans by more than 200,000 voters statewide. Getting Democratic partisans, who aren't as energized as Republicans in this election cycle, to vote will be critical. Republicans targeting Independent voters. Independents favor Dudley over Kitzhaber by more than a two-to-one margin. Defending that spread will be important. How the Portland Metro area votes is the key to the election. According to the SurveyUSA/KATU poll, support is evenly divided between Dudley and Kitzhaber in the Portland area. If this doesn't change, Dudley wins.